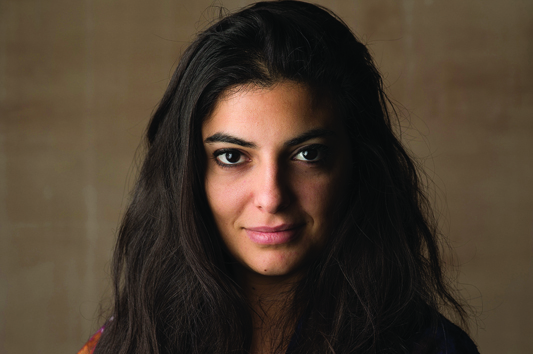 Mounia Akl is a director and writer from Lebanon living between Beirut and New York. She holds a bachelor’s degree in architecture from ALBA and an MFA in Directing from Columbia University. Apart from directing, Mounia has taught film directing at the NHSI film summer institute at Northwestern University, Chicago and was a preceptor in Screenwriting at Columbia University, New York where she was also Richard Peña's teaching assistant. Her previous work includes four short films, two web series and recently Lights, an omnibus feature film made of 6 chapters directed by 6 directors, including herself, from Breaking Wave Pictures, a collective she co-founded in New York. Her short film, Submarine (2016), was in the official selection of the 69th Cannes Film Festival (Cinefondation), South By Southwest, Toronto International Film Festival and Dubai International Film Festival where it won the Muhr Jury Prize. Submarine was awarded the James Bridges production grant and the Kodak Motion Picture Product Grant. In 2017, Mounia took part in the Lebanon Factory and co-directed a short film El Gran Libano which opened the Directors’ Fortnight at the 70th Cannes Film Festival and will screen at Sarajevo Film Festival and BFI London among others. Mounia recently completed the Cannes Film Festival’s Cinéfondation Residency in Paris with her first feature, Costa Brava Lebanon. The project was also selected to participate in the Torino Film Lab and in the Atelier D’Angers, Premiers Plans.